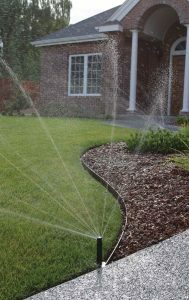 Whether you are looking for sprinklers or pressure pumps, or require a complete home irrigation system Water Dynamics has the expertise and a cost effective product range to assist you. Whether you are doing DIY irrigation or want to utilise our expertise, we are here to help. Our friendly staff in store are available to assist you with everything from product selection to the design of an automated underground system. Find your local store here. We partner with well-known irrigation brands including Hunter and Toro, and can assist with all aspects of your home irrigation system from the controller station including the pump, backflow prevention system, chemical injection system for fertilisers and other chemicals, combinations of different filters, main line valve and flowmeter. 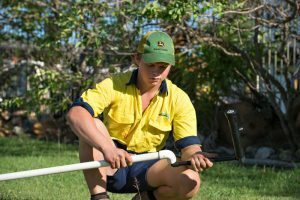 Using your specifications and requirements, our qualified technicians will design a suitable irrigation system for you. You will then be provided with a detailed quote that covers the costs of the system. Our installation team will come out to perform the installation. The whole installation process only takes up to 2 days to complete, depending on the size of the job, so you can enjoy the convenience of your new irrigation system in the quickest time possible. If you are not connected to mains water and are using water from a bore or tank, then pressure pumps are vital to your home. We have a full range of residential pressure pumps in store from leading brands including Onga, Gundfos and Davey. By capturing rainwater running from your roof, you can reduce your water bill and your impact on the environment. Rainwater can be used for irrigation, laundry and toilets, decreasing your demand for town water. We can provide technical advice as well as supply and install a tank and pump suited to your property and budget. Irrigation system lost pressure? Sprinklers not rotating properly? Irrigation system damaged by your lawnmower? If your irrigation system is not running at its maximum capacity contact us and we will send out our qualified irrigation specialists in fully equipped vehicles to assess your system. Don’t waste time trying to fix it yourself – call us first! 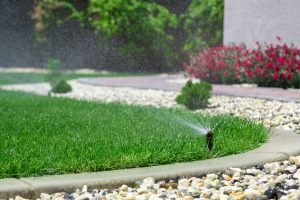 We repair all types and brands of irrigation systems – sprinklers, drip and micro. Big or small. Call us today on 1800 571 812 and let us help you with your home’s water management.